Some of our readers may already be acquainted with Manuel Farrugia. 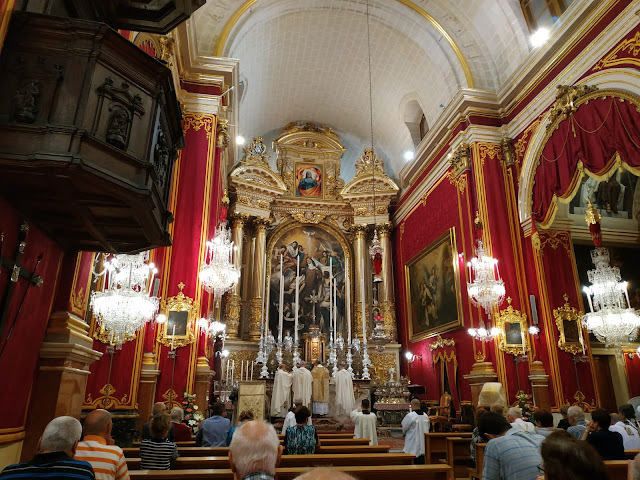 Farrugia, who hails from Malta, is just 29 years old but despite his young age he has already put together an impressive portfolio of sacred works. 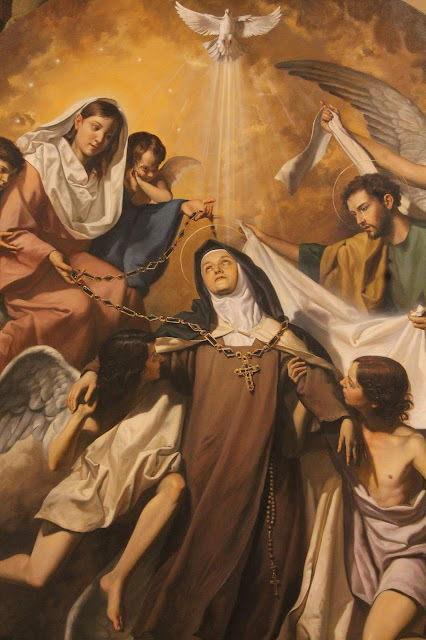 One of his major works was featured in The Catholic Herald this past summer to rave reviews, and now yet another impressive work has just been unveiled: his painting of St. Teresa in ecstasy. 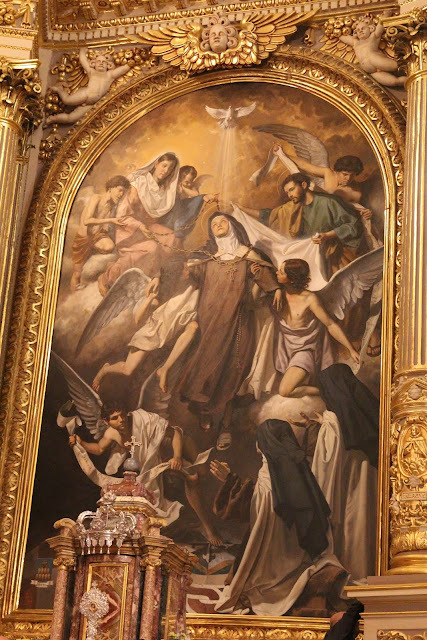 This particular work was installed into the high altar of Santa Tereza, Bormla. 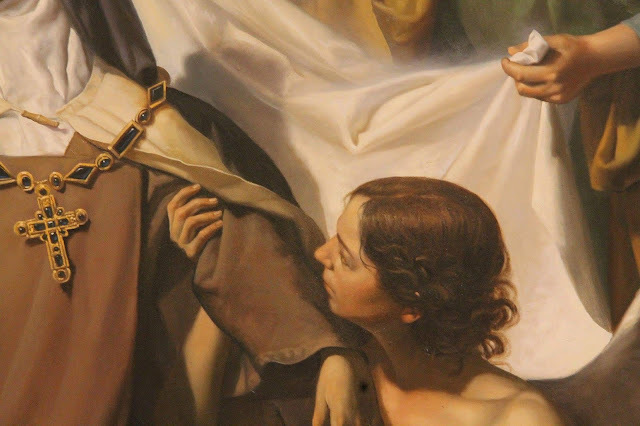 This is of course merely a detail of the primary subject, St. Teresa herself, so let's step back a little further to see the work first of all for scale. 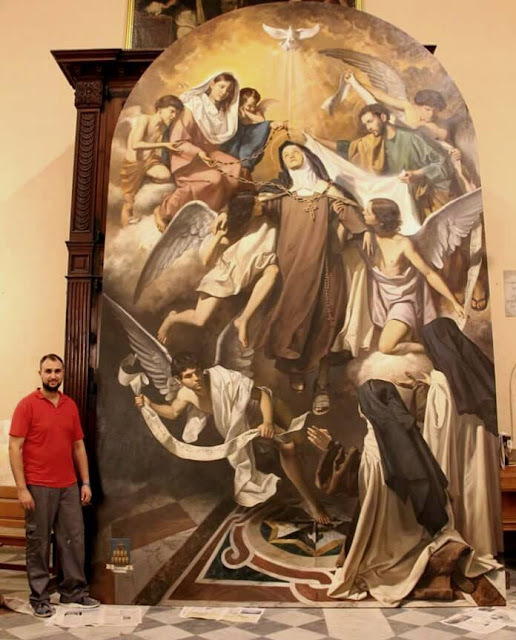 Farrugia is pictured here beside the painting. 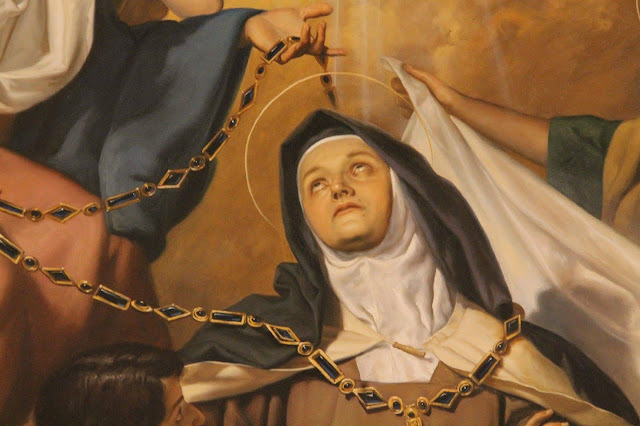 Let's take a look at some of the details, beginning with St. Teresa herself. I quite like the face of St. Teresa here. 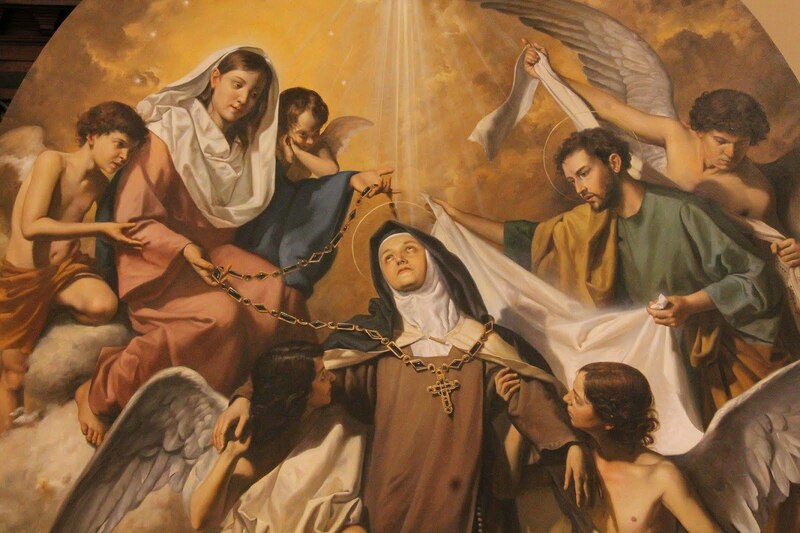 One thing that I have often commented upon when it comes to new painted works of sacred art is that much work today lacks the stylized or "iconographic" aspect that seems to make sacred art just that, sacred. 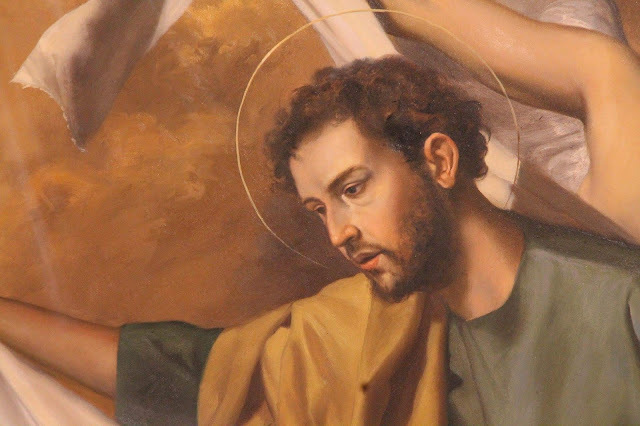 The end result is often an image that looks more like a contemporary model dressed as a saint, thereby making it difficult for the viewed to suspend belief and be drawn into a connection with the intended subject. That isn't the case here. 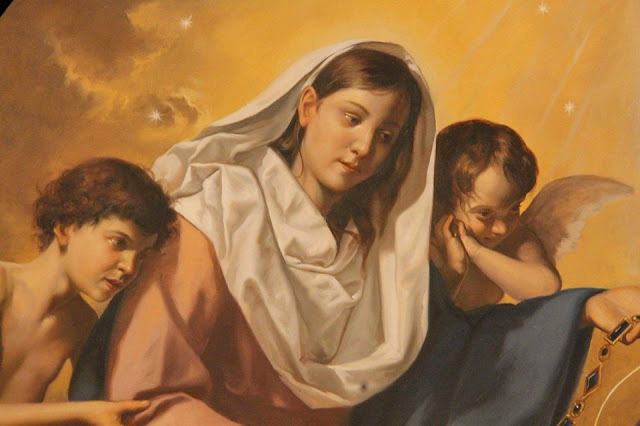 Of course these close-up views are not how the painting is actually intended to be seen. 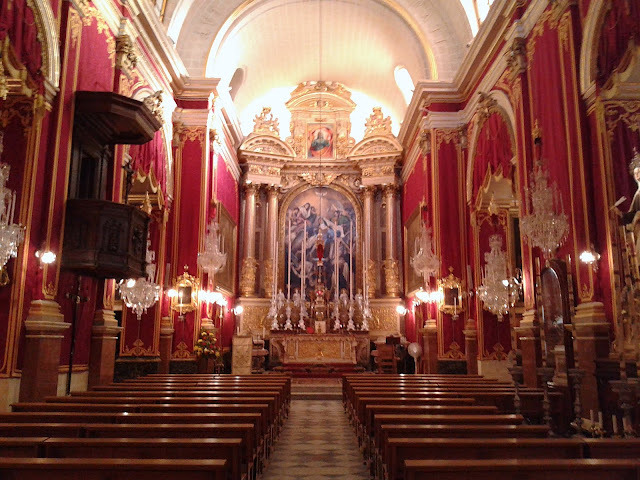 It is meant to be seen from further afield and complimented by the architecture and art that surrounds it. 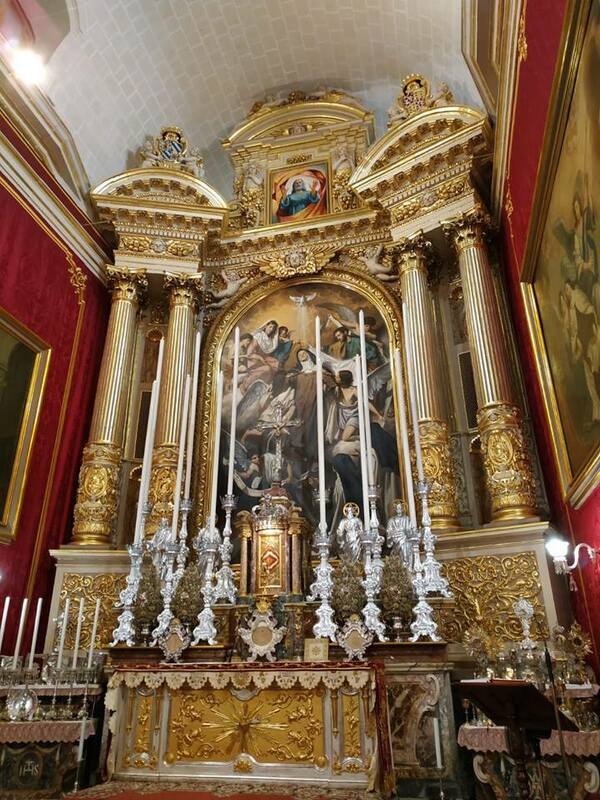 With that in mind, here is a view of the piece set within the frame of the high altar itself. Finally, here is the whole altarpiece and church, fittingly decorated in red festal array for the feast of St. Teresa herself. A truly impressive work. LAJ will look forward to following future works from Manuel Farrugia. I am sure it will not be the last time we feature his work.